“My father was always fascinated with birds. He would take us on hikes when we were little, pointing out every bird we saw and teaching us the taxonomy of each,” recalls Ryan Glick of his father. His children will tell you he was a patient, kind, and caring father. His students will tell you he was a wonderful teacher and mentor, whose passion for his research inspired them. History will tell you that Bruce Glick’s contributions to our understanding of immunology led to innumerable new discoveries and practices. 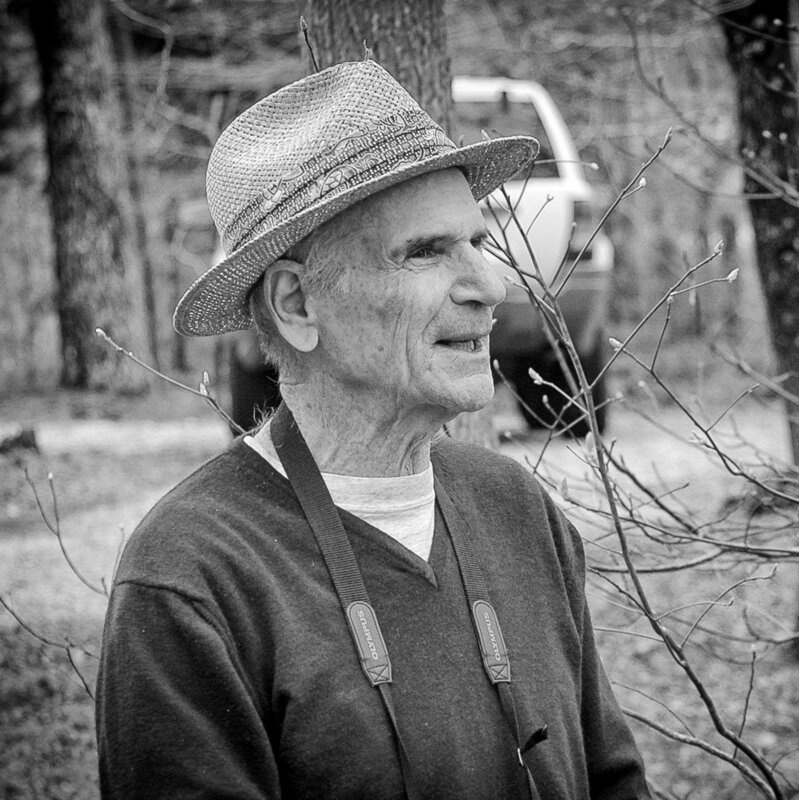 After completing World War II military service, Bruce entered Rutgers University with a keen scientific interest in birds. He soon realized that his pursuit would be best fulfilled by changing his major to poultry science, where work with chickens would extend his studies beyond bird watching. He completed his undergraduate degree followed by an M.S. degree from the University of Massachusetts. Bruce then enrolled at the Ohio State University as a Ph.D. student. One evening in the fall of 1952, Bruce asked his Ohio State advisor, Dr. George Jaap, the name of the gland he had removed from the posterior of a goose. The answer was the bursa of Fabricius. The gland was named after Hieronymus Fabricius, an Italian anatomist known as the Father of Embryology, who first wrote about the gland in the early 17th century. When Bruce asked the gland's function, Dr. Jaap's answer was: "Good question. You find the answer." Bruce accepted his mentor's challenge to find the bursa's function. He found that removal of the bursa, a procedure called a bursectomy, failed to show any significant effect - until a doubly serendipitous request came along. Timothy Chang, a fellow graduate student, needed birds to demonstrate to an undergraduate class the production of antibodies, defense proteins of the immune system, against salmonella. Bruce provided birds of the desired age for the class. But 80 percent of the birds injected failed to produce the anticipated antibodies. Further examination revealed that the birds in that 80 percent had been bursectomized, and the birds with intact bursa were the ones that managed to produce antibodies. A larger study to follow up on this discovery promptly confirmed the original finding: the removal of the bursa of Fabricius would inhibit antibody production. The secondary layer of serendipity in this discovery was that Chang used the birds to study antibody production specifically against salmonella, which develops later post-hatch compared with responses to other antigens, substances in the body that invoke an immune response. Injection of the bursectomized and control chickens with an antigen other than salmonella might not have shown a response difference, and Bruce may not have made the subsequent investigations that would have significant impact not only on understanding immune responses, but also on how to develop vaccines and how to treat disease. A manuscript detailing this work was written for Science but rejected based on a request that "further elucidation of the mechanism… should be attempted before publication." Not deterred, Bruce revised the work and submitted to and published in Poultry Science in 1956. Six decades later, that publication remains the most cited work from Poultry Science, having been cited 798 times since publication at last count. Bruce joined the Mississippi State University (MSU) Poultry Science Department faculty after completing his PhD and subsequently achieved the rank of professor. There, he directed grant efforts that funded the MSU Poultry Science Building expansion. Then in 1986, Bruce accepted the opportunity to become head of the Poultry Science Department at Clemson University. During his tenure at that institution, he led endeavors to secure funding for an animal biotechnology research program that advanced the field through equipment acquisition, including a state-of-the-art flow cytometer. Bruce’s work with the South Carolina Poultry Federation was significant during the early years of that organization, when he built groundwork that provided opportunities for faculty to engage in meaningful information exchanges with the state poultry industry. He retired from Clemson in 1995. Bruce pursued fundamental and applied research related to the bursa of Fabricius throughout his career, which generated 225 scientific papers, review articles, and book chapters. He mentored 29 graduate students and 17 postdoctoral fellows. In addition, he was invited frequently to present his work in meetings and symposia around the world. Innovative teaching in immunobiology, avian physiology, and physiological genetics was his hallmark. He received significant grant support from the National Institutes of Health, National Science Foundation and the U.S. Department of Agriculture (USDA). Bruce studied at three land-grant institutions where USDA-National Institute of Food and Agriculture (NIFA) Hatch funds supported his research, and 2 USDA grants sponsored his research to understand the bursal secretory dendritic cell; a dendritic cell serves as a kind of “Paul Revere” for the immune system, presenting antigens so they can be recognized by defender cells. This work underpinned the dichotomy we see in the immune system of vertebrate animals, including humans. Description of the function of the bursa of Fabricius triggered sequential events in the understanding of this immune response dichotomy: Based on Bruce’s work, scientists combined bursectomy with thymectomy (removal of the thymus, which produces immunity-boosting T cells) and sublethal radiation to demonstrate that the bursa controlled humoral immunity, or immune responses associated with circulating antibodies, whereas the thymus controlled cellular immunity. This division of labor shed light on human immunodeficiency diseases. Defects in antibody production could be explained by a defect in the bursa or the bursal equivalent. Cellular immune defects in which individuals could produce antibody could be traced to defects in the thymus. The identity of the bursa equivalent in other animals was ultimately recognized to include blood-forming tissues, the fetal liver, and the bone marrow. Additional work in the Glick laboratory and other facilities over many years revealed fundamental immune mechanisms attributable to the bursa. Understanding those mechanisms advanced biomedical science and agricultural science. These research efforts opened the door to discoveries of chemical bursectomy using testosterone or cyclophosphamide, the bursal role in immunoglobulin class switching (which describes the process by which a certain type of cells changes its production of antibodies from one type to another) and an extra bursal site for formation of a certain type of antibody. Other investigations studied chicken lines derived via divergent selection (a process in which species diverge) for bursa size. In later years, Imre Olah and Bruce described the bursa secretory cell mentioned above. The impacts of Bruce’s early work would go on to improve cancer treatment. The realization that certain leukemias and lymphomas may originate in either B cells or T cells enabled treatments to be tailored to the specific disease. Furthermore, once B cells were shown to be the source of antibodies, scientists developed a technique to produce the product known as a monoclonal antibody, designed to target certain antigens. In the field of animal immunology, many chicken vaccines are now administered "in ovo," or in the egg, before the chick hatches. The chicks are subsequently protected against a variety of diseases. The knowledge of the bursa function helped to facilitate this technique.